Principles of Nutrigenetics and Nutrigenomics: Fundamentals for Individualized Nutrition is the most comprehensive foundational text on the complex topics of nutrigenetics and nutrigenomics. Edited by three leaders in the field with contributions from the most well-cited researchers conducting groundbreaking research in the field, the book covers how the genetic makeup influences the response to foods and nutrients and how nutrients affect gene expression. Principles of Nutrigenetics and Nutrigenomics: Fundamentals for Individualized Nutrition is broken into four parts providing a valuable overview of genetics, nutrigenetics, and nutrigenomics, and a conclusion that helps to translate research into practice. With an overview of the background, evidence, challenges, and opportunities in the field, readers will come away with a strong understanding of how this new science is the frontier of medical nutrition. 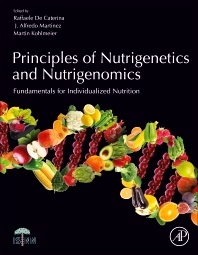 Principles of Nutrigenetics and Nutrigenomics: Fundamentals for Individualized Nutrition is a valuable reference for students and researchers studying nutrition, genetics, medicine, and related fields. Raffaele De Caterina is a Professor of Cardiology at the University of Pisa and Director of the University Cardiology Division at Pisa University Hospital, Pisa, Italy. He has been President of the International Society on Nutrigenetics/Nutrigenomics (2009-2013) and vice-President of the European Society of Cardiology (2008-2010). He is Editor-in-Chief of the journal Vascular Pharmacology and author of over 600 peer-reviewed manuscripts. His major research interests include cardiovascular pharmacology, atrial fibrillation, coronary artery disease, and cardiovascular thrombosis, as well as nutrigenetics and nutrigenomics. Prof. J. Alfredo Martínez has been involved in several landmark intervention trials and more than 50 national and international projects. He has supervised more than 70 PhD students and published more than 800 peer-reviewed manuscripts and book chapters in the areas of obesity and personalized nutrition, including precision nutritional omics. His works have been cited more than 26,000 times, and his HFactor is over 64. He has been President of the International Society of Nutrigenetics/Nutrigenomics (2015-2017) and is President of the International Union of Nutritional Sciences (IUNS) for the 2017-2021 period. Prof. Martínez has enjoyed training or invited stays at the University of Nottingham, Berkeley College, MIT, Harvard University, Oxford University, and King’s College London. He has been an advisor for EU Projects or a guest speaker or main keynote lecturer in important forums concerning precision nutrition in obesity and cardiometabolic diseases, including IUNS, ISNN, OMS, FAO, IAEA, NIH, SLAN, and FENS. Dr. Martin Kohlmeier, MD, PhD, is a Professor of Nutrition; Director of the Human Research Core and the Nutrigenetics Laboratory at the UNC Nutrition Research Institute in Kannapolis, NC; Director of Nutrition in Medicine for online nutrition education of medical students and health professionals; visiting fellow of Wolfson College at Cambridge University, UK; founding Editor-in-Chief of BMJ Nutrition, Prevention and Health; and President of the International Society of Nutrigenetics/Nutrigenomics (ISNN). His professional interests include investigating genotype-specific nutrition responses of humans in health and disease, developing decision-support algorithms and tools for precision nutrition, and teaching health care professionals how to use nutrigenetics in practice. 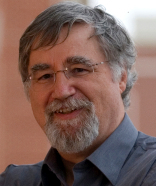 His previously authored textbooks in the field include Nutrigenetics (Academic Press, 2013) and Nutrient Metabolism (2nd Edition, Academic Press, 2015).